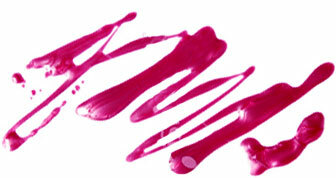 Frizz is a hot topic lately, for obvious reasons. Haircare brands are really stepping it up to make sure our hair stays sleek and shiny in the heat and humidity. Next month, Moroccanoil is launching a complete smoothing regimen enriched with the brand’s signature argan oil-infused blend, plus a few extra special ingredients. The four product range includes a Shampoo, Conditioner, Smoothing Lotion and Mask all designed to transform frizzy, unruly hair. What sets this collection apart from others is the addition of argan butter in the formula, which is known to have a high concentration of essential fatty acids. Combined with coconut-derived fatty acids, the argan butter nourishes every strand, leaving it silky soft and much more manageable. That means less time spent in front of the mirror trying to tame your coif and more time snoozing. Sign us up! When used together, the sulfate-, phosphate-, and paraben-free Shampoo ($28) and Conditioner ($29) hook you up with 72 hours of smooth sailing. Apply the Smoothing Lotion ($32) on damp hair for your easiest blowout yet, and treat strands to the Smoothing Mask ($43) once a week and see your hair flip the switch from frizzy to fierce the second you hop out of the shower. Bonus: Everything smells so, so good. 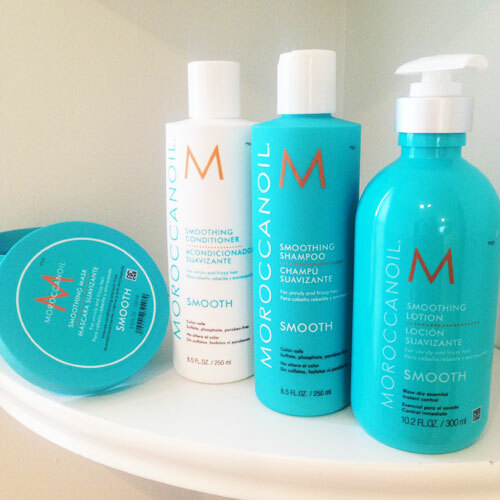 The Moroccanoil Smooth Collection will be available in August.